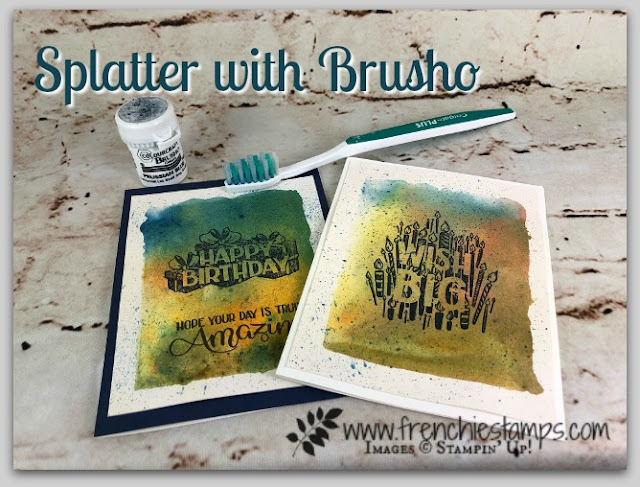 What do you do when you have drip of Brusho or ink at unwanted place? Well you splatter more Brusho and boom it look like it was met to be. 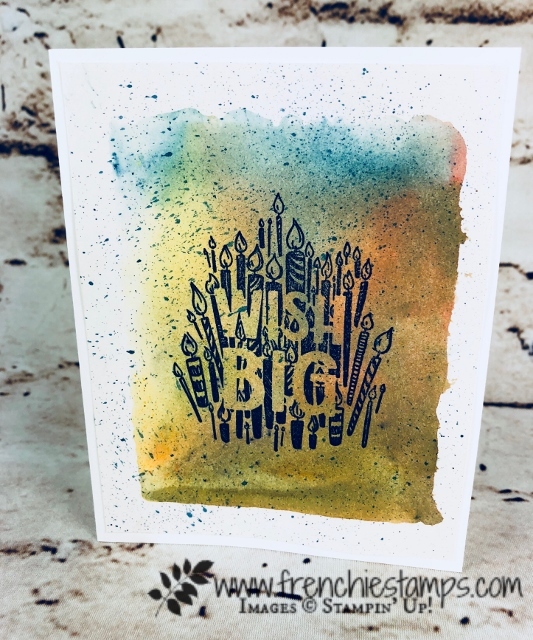 Why toss it trash when you can add a splatter to your card. 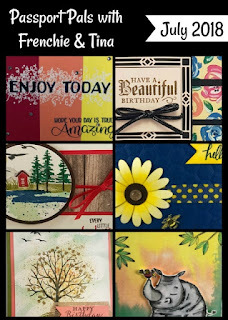 A few week ago I share how to make the background with clear block and Brusho, some of the card the Brusho drip on the side so today I share how to save those card with a toothbrush and Brusho. 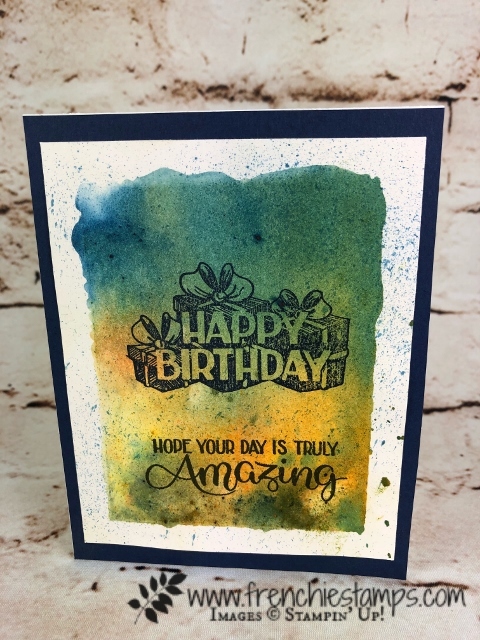 If you miss the video of the background CLICK HERE to view and today video is super quick less then 2 minutes to share how to make the splatter. Today video can be found below in this post or on my You Tube Channel. You can see the splatter very well and I think it add a wild look to the card. All supplies are listed below exception of the toothbrush. ↓ Thank YOU for your support and business. 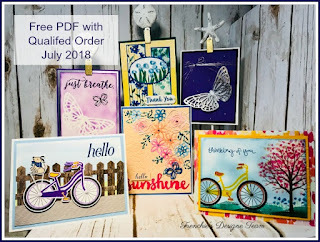 If your order is $50.00 or over before tax and shipping you will receive 2 PDF’s Frenchie’s team Design plus the Passport Pals that include instruction for 6 card and this month all card will showcase some of the new in-colors.